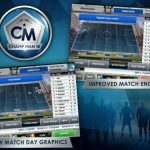 It’s not exactly Football Manager, but if you’re looking for a great soccer management game for your iOS device, Chillingo’s Super Soccer Club should be right up your alley. After all, you won’t be just managing a team and setting your lineups and game strategies; you’ll also be building your own stadium like a real-life sports executive would. You can have your team compete against those of your friends or other online players, though right now we might as well set your expectations and say that there aren’t any real-life teams or players in here. 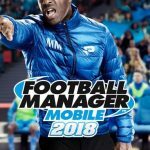 However, don’t let that stop you from downloading this game for your iPhone or iPad – if you fancy yourself an armchair (or mobile) Sir Alex Ferguson or Arsene Wenger, here is our Super Soccer Club strategy guide to assist you in your goals for managerial glory. 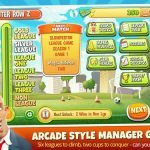 Real-life managers typically focus on their bright young stars since their top veterans already know their stuff, but in Super Soccer Club, you want to make sure you make your good players even better. Conversely, you wouldn’t want to give that much attention to your scrub players, as chances are you’ll need to cut them anyway. As we mentioned above, you’ll need to do more than just put together a team of star players. 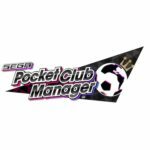 As your club’s manager, you also have to earn enough money, and one great way to do this is to open your game with a lot of shops. Seven shops, or maybe eight, would be a good starting number, and once you’ve got them up, be sure you regularly upgrade them so that they can earn you more money per hour. This isn’t always the best real-world strategy, but if you’re playing against other human players, this will be especially effective – switch to an offensive strategy as most players are likely to leave things as it is and play a balanced game. Yes, we know – a healthy mix of offense and defense usually does it for association football’s top teams, but not in this game. Right now, we’re talking about a key similarity between real soccer and Super Soccer Club. You can choose to go with a 4-3-3 formation, or a 4-4-2, just as long as you’re maximizing the talents of your players. While your team’s still playing in the Junior league, it would be a good idea not to use any boosts just yet. But once your team’s been promoted and your lineup has improved sufficiently, you can go for those boosts, as you’ll be earning more money, thus making increases in revenue, for instance, more worth it. Once you can afford it, we suggest that you go ahead and spend for the best and most expensive card pack. Yes, it’s going to cost you a tidy sum of money, but it will pay off in the end, as you’ll be winning more league titles and challenges, and subsequently winning more player packs.